Saving for your retirement might not seem appealing to you at the moment, but it sure comes in handy once you have retired and need a steady money flow to run your household and live a relaxed, tension-free life. Hence, it is ideal to look and invest into a good retirement plan. The key is to start early and take control of your personal finance. 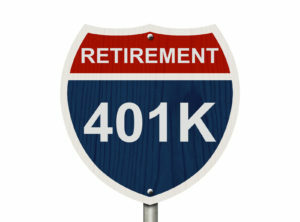 The 401k is a tax-qualified, retirement account. A maximum of $18,500 pre-tax annual contribution can be made as of the year 2018. The retirement savings contributions are deducted from the employee’s paycheck before taxation. This lowers the amount of income on which you have to pay taxes. 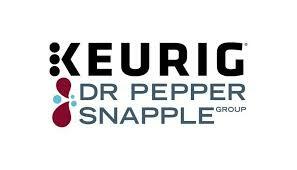 The employer is the only one allowed to sponsor the 401k for their employees. The limit of contribution was quite less in the past years, starting from $15,5000 in 2008 and now has been increased up to $18,500, with a $500 increase per year, approximately. An average 401k plan has multiple investment options, including quite a lot of added features. It includes options of increased fee visibility, automatic enrollment and low-cost index funding. A very big advantage of the 401k plan is that the earnings and contributions have a tax-advantaged nature. The capital gains and dividends will not be subject to taxation unless withdrawals are made. According the traditional 401k plan, employees are allowed to make pre-tax contributions, but their withdrawals from the account would be taxed only if done so before reaching 59.5 years of age. However, the Roth 401k has an added advantage which includes completely tax-free withdrawals, but the contributions are made with after-tax dollars. It has been noted, to retire rich, you should be saving 15 to 20% of your income. However, to maintain your current lifestyle after retirement, 10% savings are excellent. The idea is to have 10 times your salary saved by the age of 67. Research reports show that Americans aged 50-59 are saving quite a lot more via their 401k plans compared to what they were saving 5 years ago. 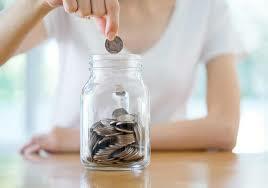 It is ideal to have the equivalent of your salary saved by the age of 30. By 35, you should have twice the amount of your salary saved. By 40 years, 3 times the amount; 4 times by 45 years; 6 times by 50 years, 7 times by 55, 8 times by 60 years and in the end, by 67 years, you will ideally have saved 10 times your salary amount. 401k plans currently hold a total of $4.5 trillion in assets in U.S.A. At the moment, more than half a million companies offer the 401k plan, with over 50 million workers who are active participants in their employers’ 401k plans. This retirement plan has gained massive popularity in all of America and is beating down on all other available options. Most companies will enroll you automatically in the 401k plan. If not, inquire from your employer. Some employers wait for one year before enrolling you into the plan. Don’t forget to elect a beneficiary, so in case of your death, your money will go to your beneficiary. Your spouse becomes your beneficiary automatically, if you are married. Finally, if your company is in trouble, do not worry as your 401k will be off-limits. In case your company goes under, the plan gets terminated and at that time, you could transfer your money into the IRA. This way, you will be able to bypass the 10 percent income taxes and withdrawal penalty. Think fast and start early. Keep Track Of Your Net Worth: Hopefully you now know a little bit more about how you stack up with everyone else. Now the easiest way to grow your wealth is to know where all your money is going. 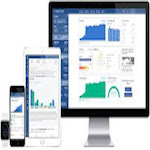 Sign up for Personal Capital, the best free financial tool on the web. I use them and have seen my income and net worth blast off. They keep me motivated to budget, spend and invest wisely.